When I see my neighbors at my door holding a covered plate I get excited because they are fantastic cooks who often bring me treats. Except this delicacy was not from their kitchen; it was deep-fried take-out fish from 99 Ranch Market’s seafood department where they scoop live fish out of a big tank, “dress” them (euphemism for remove guts and slash the skin) and toss them otherwise whole in the deep fryer. 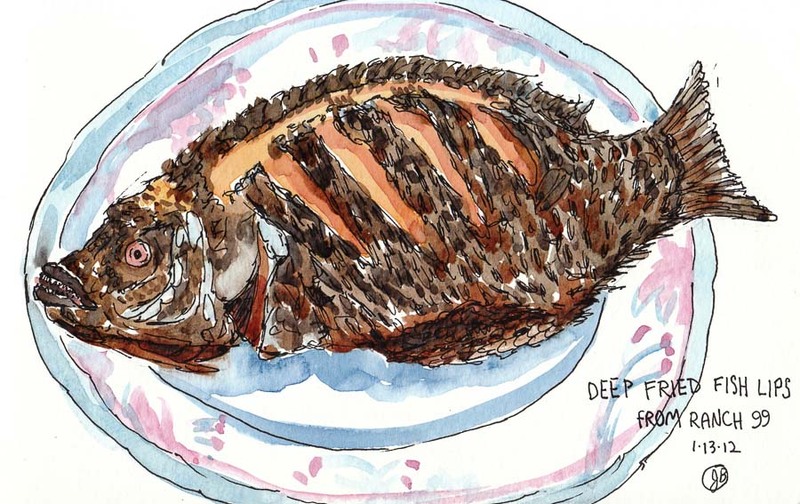 I gratefully accepted the gift and sketched it instead of eating it since I prefer my fish grilled, not deep-fried. Then I gave the fish to my tenant who enjoyed the nice dinner. 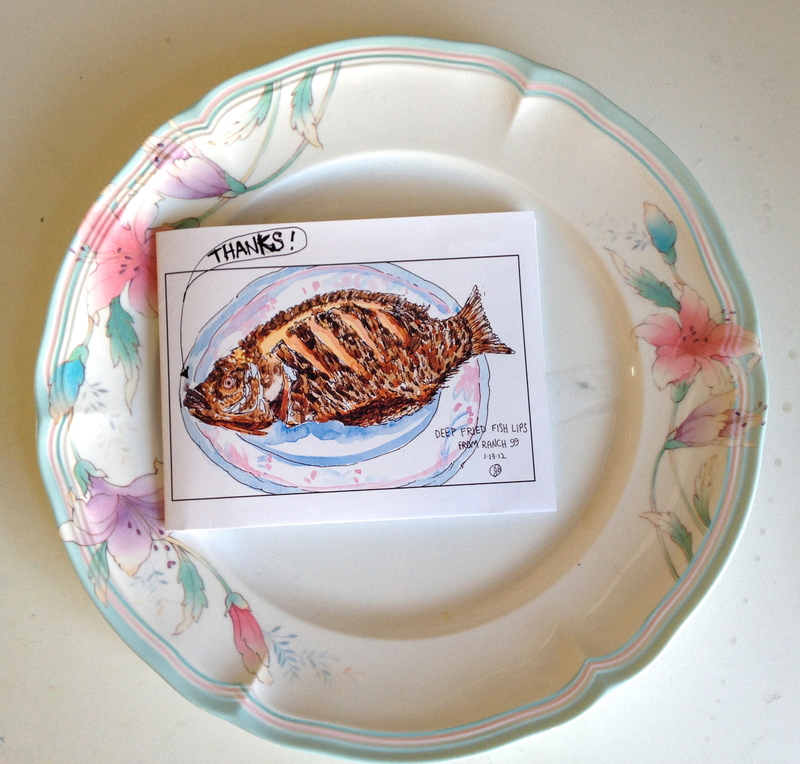 Today I returned the plate with a little thank you card featuring the fish. How lovely – your neighbours, your picture, & dinner for tenant. Totally cool story to go with a totally cool painting!